Margie Miller, age 91, of Grand Haven joined her Lord and Savior on Wednesday, November 21, 2018 at Hospice of Heartwood Lodge. She was born February 2, 1927, in Coopersville, MI to the late Jacob and Georgia Smith. Margie married N. Wayne Leatherman on April 10, 1947, they were married for 51 years and had one child Jack W. Leatherman. Margie and Wayne were able to travel to all 50 US States during their retirement years. Margie devoted her life to her family, which was her greatest pride and joy! She enjoyed bowling, crocheting, and loved the challenge of a good game or puzzle. Margie was known for her chicken soup, potato salad, and baking lots of cookies; especially around the Christmas season. She volunteered with the Red Cross for 47 years and was an active member of First Reformed Church since 1963. 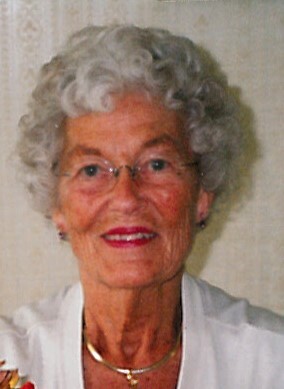 Margie will be lovingly remembered and missed by her daughter in law, Karen Leatherman; three grandchildren, Jacob (Jessica) Leatherman of Farmington, MI, Luke (Corrin) Leatherman of Oceanside, CA, Abby (Max) Przysucha of Grand Haven, MI; four great-grandchildren, Ella, Lucian, and Hatti Leatherman, and Mazie Przysucha; nieces, Bonnie (Wes) Busman and Marilew Helmers; nephew, Jim (Beth) Helmers; and step-son, Craig (Carla) Miller. She was preceded in death by husbands, N. Wayne Leatherman and Jack Miller; son, Jack W. Leatherman; and sisters, Jean Rogers and Marion Helmers. A Memorial Service for Margie will be 11:00 a.m. Tuesday, November 27, 2018 at First Reformed Church, with Rev. John Kenny officiating. Visitation will be held one hour prior to the service. Interment will be at Grand Haven Township Lakeshore Cemetery. Memorial contributions in memory of Margie may be given to the Jack W. Leatherman Scholarship Fund C/O the Grand Haven Community Foundation.